Insert arrangement numbers are made by combining shell size (first one or two numbers before the dash) and the insert arrangement number (last one or two numbers after the dash). 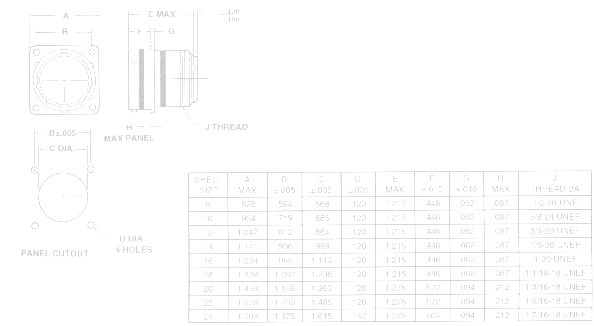 For example, a MS24266R10T20P is a shell size 10 with a 20 insert for a 10-20 insert arrangement. Insert arrangements are shown in numerical order by shell size and number of contacts in each shell size. Please note the color code legend for the contact size for this series.